HOUSTON (KTRK) -- A mother is accused of beating her two young children after she flew into a rage over a pile of laundry, court records allege. 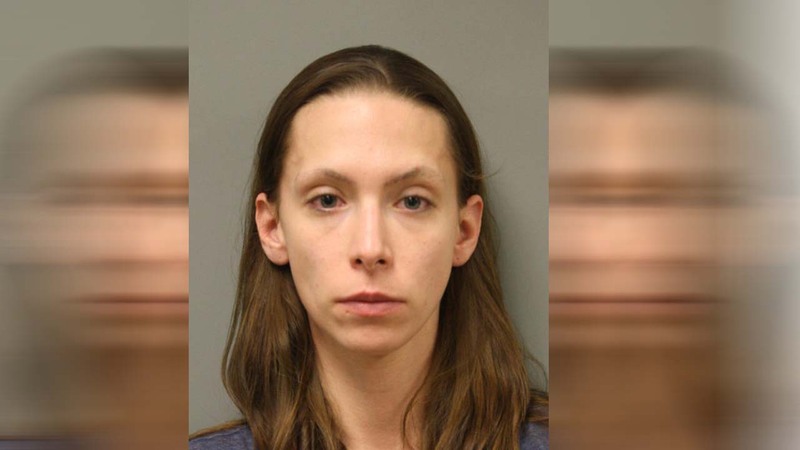 Holly McCurdy, 27, is charged with two counts of injury to a child after court records indicate Child Protective Services received videos of McCurdy and her children at their home in the 12000 block of Gessner Road. Houston police allege in court records that a video shows McCurdy attacking her children at her home on September 9, 2014. Police say McCurdy is seen on video lashing out at her 3-year-old after the child touched laundry sitting on the couch. Court records claim McCurdy is seen on video slapping the child several times in the head and throwing her onto another couch in the living room. Shortly after, police claim McCurdy's 2-year-old can be seen trying to leave the room "seemingly away from the defendant and the abuse," court papers show. The mother allegedly slaps that child in the head and shoulders, and then turns again to her 3-year-old, violently turning her over and screaming at her. In another video from September 17, 2014, court papers say McCurdy is seen picking up the 2-year-old and throwing him violently onto a wooden chair. The child can be heard crying out in pain. McCurdy has admitted the videos were of her and taken at her home, according to court records. It's unclear at this time from whom CPS obtained the videos. Court documents indicate Brennan has a third child, a 7-year-old boy with autism. Records show he told police that his mother hits them, knocks them down, screams at them and throws them. The boy said he hides in his room to avoid his mother. McCurdy is in the Harris County Jail on $20,000 bond. She's scheduled to be in court Friday.